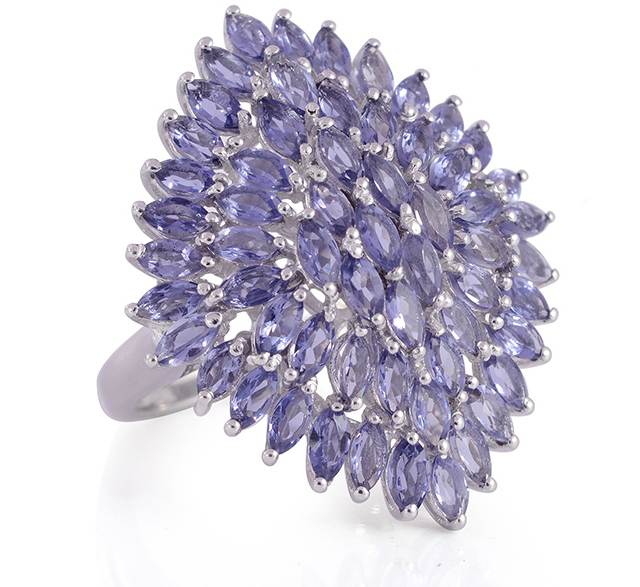 Iolite, viewed from different angles, this blue-purple stone can be seen to change colour. Iolite played an important part in history. The Norse explorer Leif Ericson used thin pieces of iolite as the world's first polarizing filter. Due to its strong pleochroism, he was able to use iolite as a lens, so he could work out the exact position of the sun and navigate to safety. Iolite gemstones are found across the world including Sri Lanka, India, Namibia, Brazil, Tanzania, Madagascar, Connecticut and Canada. While iolite is the term used in the gemmology industry, cordierite is actually its correct mineralogy classification. Iolite is a magnesium ion aluminium cyclosilicate, which almost always contains iron. Today, some believe iolite can help to detoxify the body, and crystal healers use iolite to help treat addictions. It’s said that the stone can help to build relationships, and to aid people in being able to see an issue from all points of view.